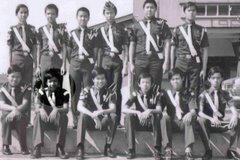 After 30+ years I am glad to see all of you guys are still intact and pretty much recognizable with exception to a few individuals like Bernard Tai Chong Lim a.k.a. Ah Soa who has really shrank significantly; “Dog Bone” in Chinese not sure you guys remember and recognize him? ; Tony "Frog" after 30 years still couldn't get his last name right, etc. Mr. Pang “dyed” his hair white, is semi retired and running his motel business in Tangkak (am sure he gives good discount if you visit the Gunung Ledang area next time). Coincidently Kwok Wah also running the “Country Inn” in Kulai and has promised to have a presidential suite done up with the auctioned piece done by Wee Ling. For those did not attend the event, Wee Ling had discovered her artistic talent lately and has spent the last 2 years done up 10 pieces of mostly oil paintings auctioned off to raise fund for the Brigade. Well done Wee Ling and of course not to forget about Lee Let Long business savvy selling tactic on the auction floor. Mr. Nallusamy and Mr. Lui are retired now and both looking fit. Mr. Tee is as youthful looking as before except he is no longer a math teacher but working for the National Park of Singapore. Tu Kwan Yam a.k.a Ayam has blossomed over the years and so has his pocket. I was surprised that he still can’t get over with me being the culprit who caused him and a few seniors to get punished by Boon Hong. We were asked to soak in the water for couple of hours in the middle of the nite at Air Panas waterfall (1977) for wondered off to hunt “frogs” for supper! Boon Hong now “dyed” his hair grey was the highest bidder ($3,200) of the nite and I would like to thank his continuous generosity to the brigade movement. I heard from his little sister Wee Ling that he got so emotional after meeting the old boys that he has difficulty getting to sleep the whole nite. 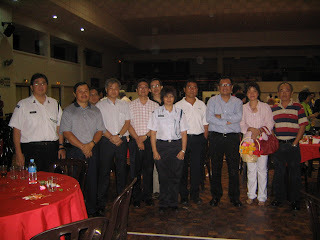 Ho Ha Yin came with his smart looking BB officer uniform accompanied by his Batu Pahat BB gang. In fact he wrote me a very touching note after the event. “The homecoming during the dinner was not only nolstagic but very heartwarming!!! 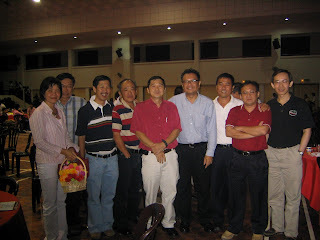 Seeing Kok Wah, Poh Lim, Kwang Yam, Chong Lim, Boon Hong, Mr. Pang, Mr. Nallu and others was an electrifying experience also”. Wong Yew Ming show up but left early with his wife but gotten a proxy to auction a piece of painting on his behalf. I am sure some of the boys like Poh Lim were a little disappointed with Yew Ming for not bringing his all time beauty cousin Wong Poh Choo along?? 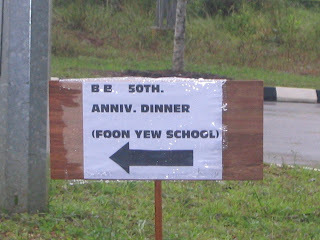 For those who felt a little left out like Richard Onn(BB 80's) & Khek Pin. I promise the next event will be more exciting as we build up the alumni participation. Kiss more frequently. So, how do you get yourself from where you are now, to somewhere better?